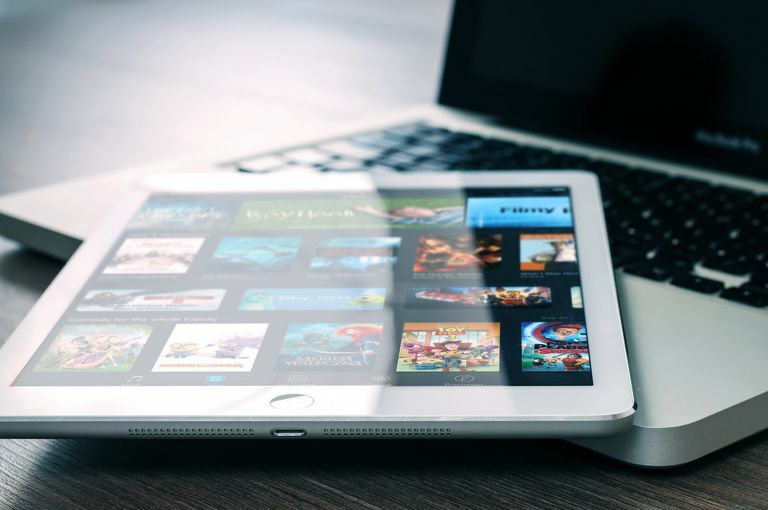 Thanks to many cable networks and broadcast TV networks jumping on the iPhone and iPad bandwagon, it's becoming easier and easier to bring your favorite TV shows with you. Many of these apps will allow you to watch full episodes and even feature-length movies. Many also interact with the new TV app, which gives you a one-stop place to shop for what to watch. Some of these apps require you log in through your cable provider, however, many give you a select number of episodes you can watch. Most of the major cable and satellite companies have a corresponding app that will allow you to view a subset of the channels available on your broadcast package. The exact features of the app vary based on the cable company. For example, DirectTV is one of the few that allow you to watch shows you recorded on your DVR, but most will allow you to at least schedule recordings and manage your DVR. If you use TIVO, you can also download the TIVO app. This app essentially turns your iPhone or iPad into a portable TV capable of showing any channel in your subscription. However, you will need a special TIVO box to view channels outside of your Wi-Fi network. Cord cutters rejoice! Most of the broadcast networks allow you to stream the last few episodes without verifying your cable subscription. You may not get full access to the entire season, but this is good enough to act as a DVR or perhaps replace the need for a Hulu subscription. The CBS app is a little different than the others. Rather than require you to verify your cable subscription to gain access to the full content, they require a CBS "All Access" subscription for $6.99. If you think that is expensive, you are right. It's not quite the price of Netflix, but it is in the same ballpark. However, CBS does give you access to a big chunk of their library with shows like I Love Lucy and the Twilight Zone. The best news for those addicted to Game of Thrones is that you don't actually need a cable subscription to get HBO. The newest thing in cord cutting is the ability to subscribe to HBO, Showtime or Starz without a cable subscription. HBO and Showtime have separate apps for their cable subscribers while Starz has an all-in-one app. Cinemax only for cable subscribers. Epix only for cable subscribers. HBO GO for cable subscribers and HBO Now for non-subscribers. Showtime Anytime for cable subscribers and Showtime for non-subscribers. Starz for both cable subscribers and non-subscribers. Many of the non-broadcast cable networks require a cable subscription, but some offer recent free episodes. And others like MTV Play offer a separate subscription service. For cord-cutters, a Hulu subscription might be advisable if your favorite show is on a non-broadcast channel, but Hulu doesn't cover all channels. This list contains the most popular stations. If you are more interested in keeping up with news, world events or sports, these apps will keep you covered. Most do not require a cable subscription to use, but some like ESPN require a subscription for the live broadcast. One major benefit of ESPN for college sports lovers is the ability to replay games, which can act as a DVR if you missed a big game. The biggest trend right now is cable over the Internet. These services act like a traditional cable service with a set of channels and packages you can purchase, but they don't require in-home installation and generally do not have a 2-year commitment. They are usually cheaper than traditional cable, with some like Sling TV specializing in skinny packages. Most offer local stations in certain areas, but it is important to check with your specific area. A digital antenna can also be used to view local channels unavailable on these services. If you are interested in cutting cable completely but don't want to give up on watching movies or shows, it's becoming easier to do. You can find information on Netflix, Hulu and other great apps in our roundup of the top streaming apps.